I admit a dollop of yogurt would have been healthier, but I wanted the whipped cream. I use the real thing, not cool whip or dream whip. The whipped cream satisfied my craving for ice cream and the Malto Meal satisfied my chocolate craving. 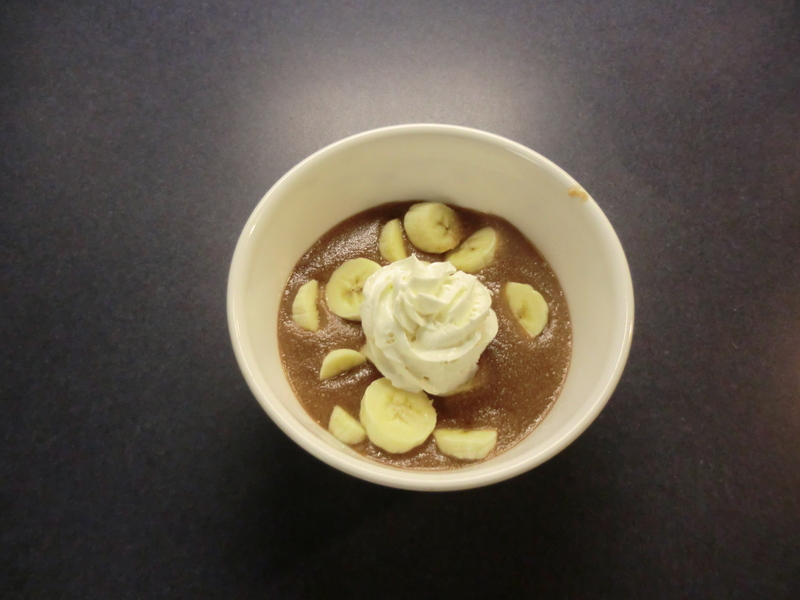 Malto Meal with banana and whipped cream. This entry was posted in Food, Health, Make It, Recipes and tagged Food, Health, Make It by Frugal Fish. Bookmark the permalink.